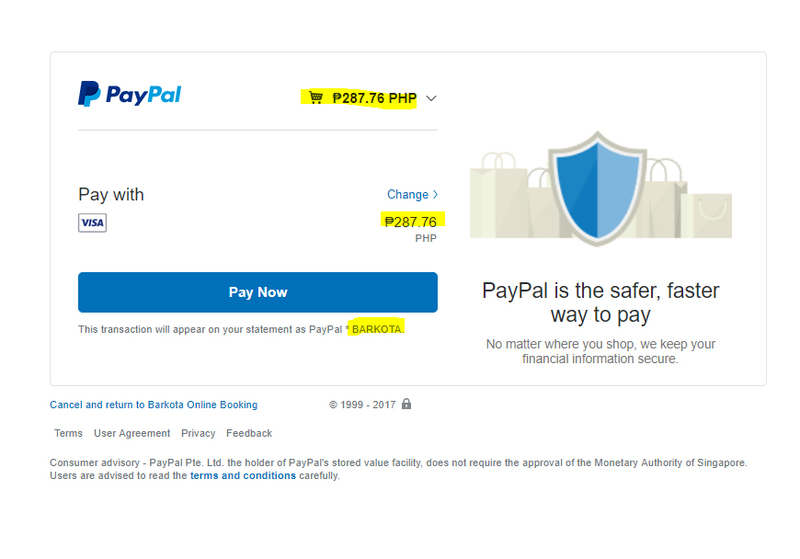 To pay with PayPal, on the payment screen click the yellow PayPal Checkout button. This will redirect you to PayPal. On the PayPal site, notice the amount beside the cart, it should match your total ticket cost from the Barkota website. Upon verification, click Log In. 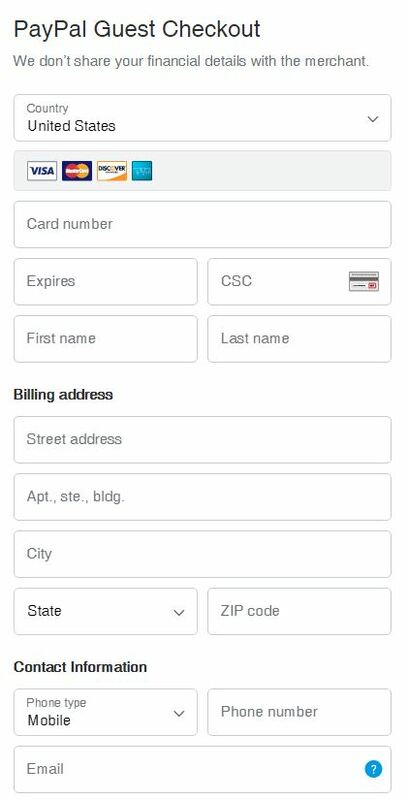 Provide your credit card details. Make sure to provide accurate information for hassle free transactions. 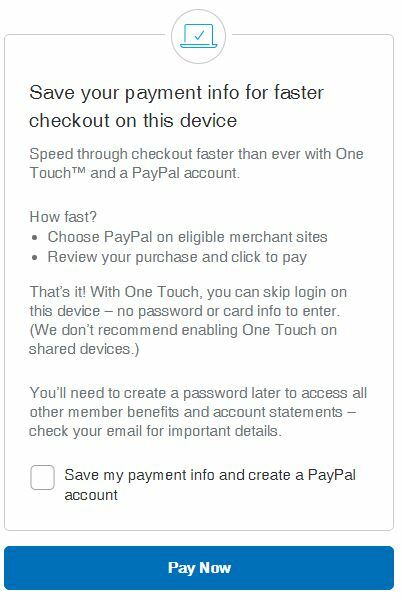 For faster transactions select the Save my payment info and create a PayPal account by checking the option. By doing so this will make your future transactions with Barkota a lot faster. Before clicking Pay Now, Please verify the amount if it matches your total ticket cost. After verification click Pay Now. Once Payment thru PayPal has been processed you will receive your e-ticket via e-mail.